A review of Citizens National Health Insurance Company leads to Citizens Inc., which is a Texas based company that focuses on life insurance as well as wealth-building investment tools and fortune building products. These products can lead to retirement, education, or medical funds used to secure the policyholder’s future. Citizens Inc has a unique system for their clients. 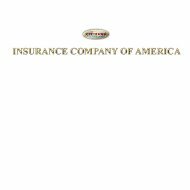 They are a life insurance company, but they are also a living benefit life insurance company. A living benefit life insurance company is a company that uses a life insurance policy to gain interest and build wealth for the client. Benefits can be used while living according to the guidelines of the policy, instead of being paid out only upon the policyholder’s death. The Citizens Inc system is meant to provide a quality of life for seniors who are living longer today than any other time in history. Sharing life insurance benefits with family members after your death is important, but also having a secure quality of life after retirement is important as well. This type of policy gives you access to both things. Once a policyholders turns 65, they stop paying monthly premiums to Citizens Inc and get the monthly premium amount plus interest paid back to them monthly. The payout is guaranteed as long as the policyholder lives. Once the policyholder dies, the remainder of the life insurance policy is paid out to the beneficiary. The living benefit is optional. Policyholders can choose to save the entire benefit for an after death payout. Citizens Inc. is a worldwide company with offices in the United States as well as China, Brazil and other South American countries. When they hire employees, they look for diversity and give special consideration to those who are qualified, but also speak Spanish, Portuguese, or Chinese. Salary benefits are also available to those who speak one of these languages. In order to apply, individuals must have a high school diploma and strong to excellent skills in the areas of computers, math, spelling, and grammar. A few jobs in the corporate office and underwriting departments do require college degrees. The application process starts online and continues with an in person interview. Citizens Inc pays its employees fair and market competitive wages based on what department they work in and what position they hold. Also added to an employee’s salary, are bonuses and commissions when employees in certain departments meet specific sales and client goals. When a claim has to be filed with Citizens Inc it is because the policyholder has died. Citizens recognizes that this is a difficult time for family members and filing for life insurance benefits is often not the first thing on everyone’s mind. However, they also want to get the benefits to family members as soon as possible to ease any financial hardship caused by the death of the policyholder. Claims can be submitted online, but it is only a simple form that lets the company know the policyholder has died, the date of the death, and the cause of death. A representative from Citizens will then call to get any additional information that is needed. They will also need to see the death certificate that is provided to the family through the county in which the policyholder died. Unless there are legal issues or the cause of death was an exclusion in the policy, the benefits will be paid out as soon as possible. There are several payout options available including check, direct deposit, or multiple payouts to individuals or organizations as directed by the beneficiary.